View and Reserve your Favorite Hepi events directly on your mobile phone. Hepi lets you seamlessly register or book an event, and save ticket information on your app. View your favorite Hepi events by month. 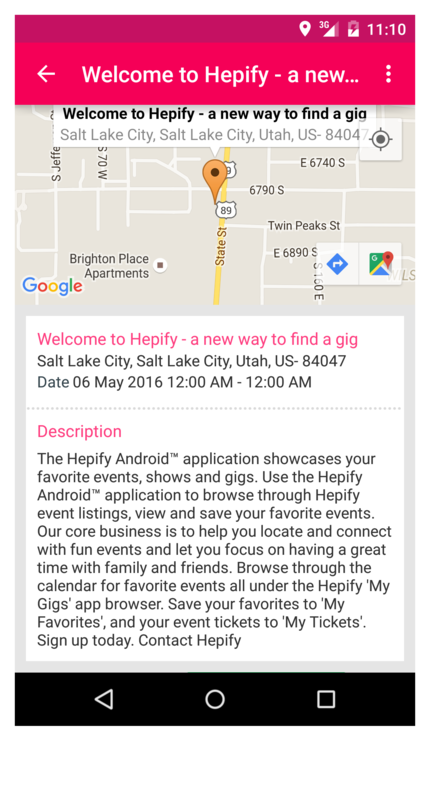 Save your monthly Hepi events as favorites..
Drive, or walk to the a Hepi event location via Google Maps. With Hepi, you can find location based information about your favorite events, with place markers. Content is like water. That’s why our approach for responsive design enables optimal viewing and an immersive interactive experience. Built for the web. Our website is built using Bootstrap, the most popular HTML, CSS, and JS framework for developing responsive, mobile first projects on the web. Check out your event location even before you walk or drive to it. As our website is built in Bootstrap, the most popular HTML, CSS, and JS framework, it's viewable across many browser platforms. 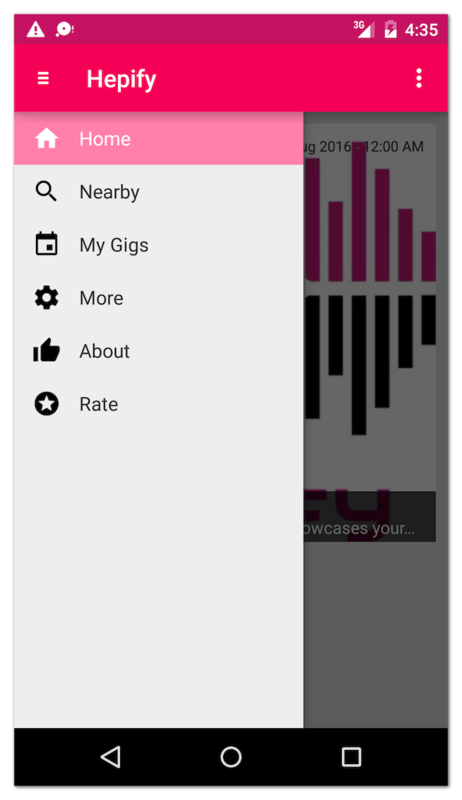 Use our Android app to browse through event listings, click and view the event. Go Social and dive into Twitter, Facebook and Instagram for events listings. 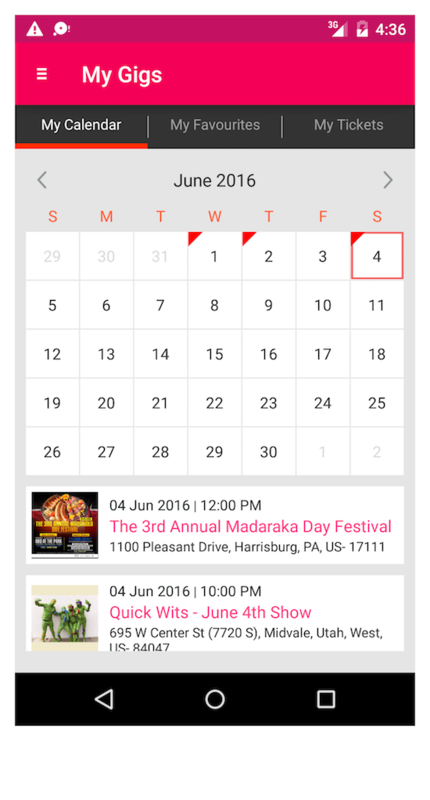 Browse through your Calendar, Favorites and Tickets, all under the 'My Gigs' app browser. Copyright © 2018 Designed by Sila Technology Solutions LLC. Sign-up now - don't miss the fun! We'll notify you once we go LIVE.